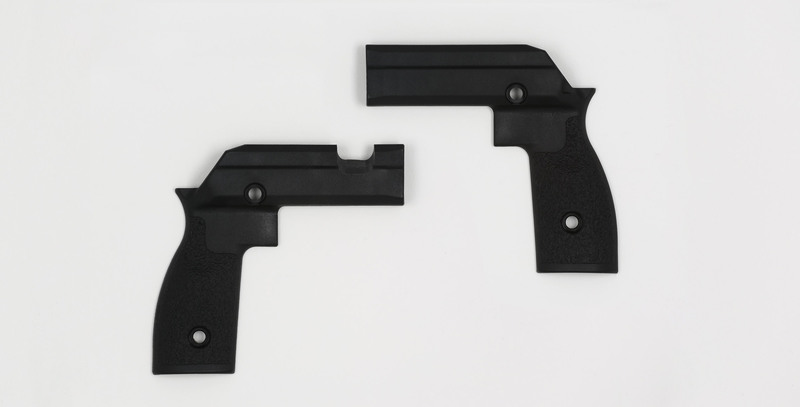 Large Grip Panel Set: For those with larger sized hands, these grips are the way to go. 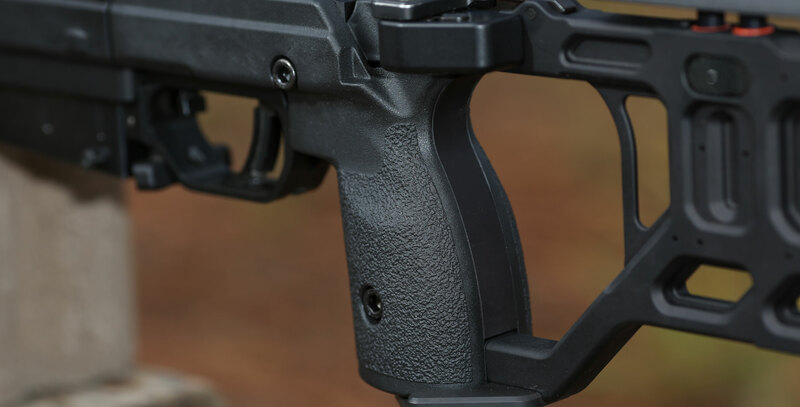 A large palm swell and ergonomic shape make for one of the most, if not the single most comfortable stocks available. 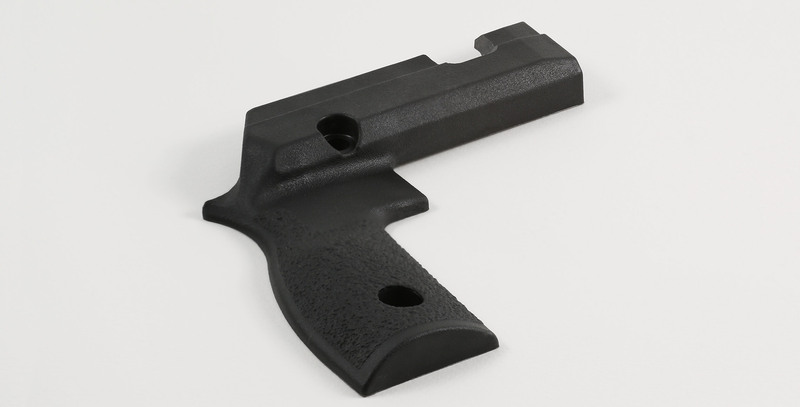 These grips were what came on the generation 1 and 2 Whiskey-3 Chassis as it shipped and bolt directly onto those generations. They bolt directly onto the Gen 3 and 4 chassis and the X-ray Chassis as well using the included spacer. 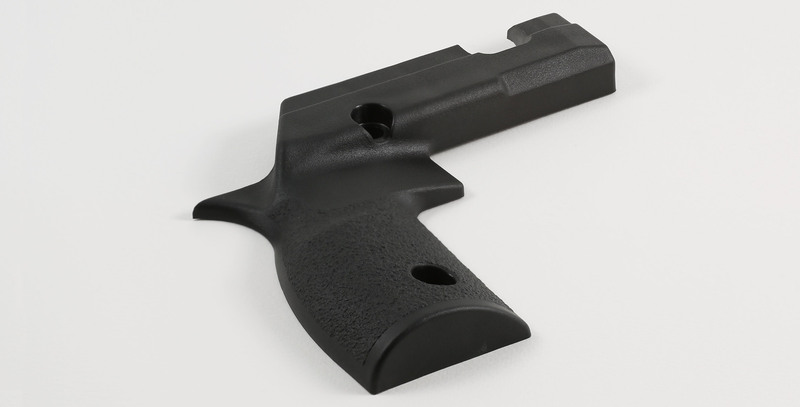 Includes both right and left grip panels plus the needed spacer. 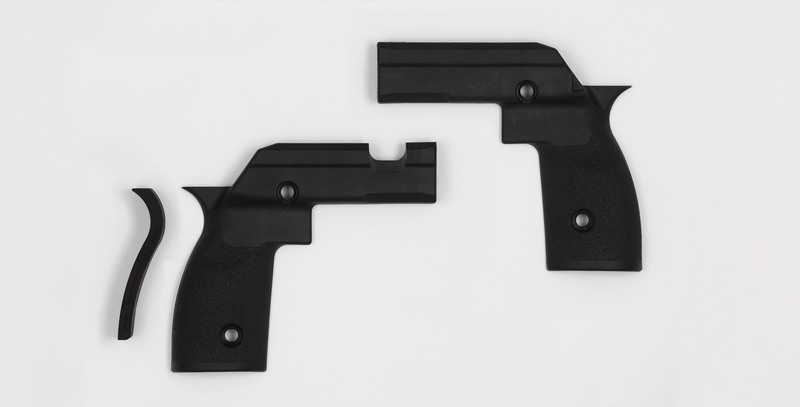 Small Grip Panel Set: These grips are what come standard on the generation 3 and generation 4 Whiskey-3 Chassis and the X-ray chassis. These are the smaller size and bring your hand substantially closer to the trigger and they have a smaller palm swell. 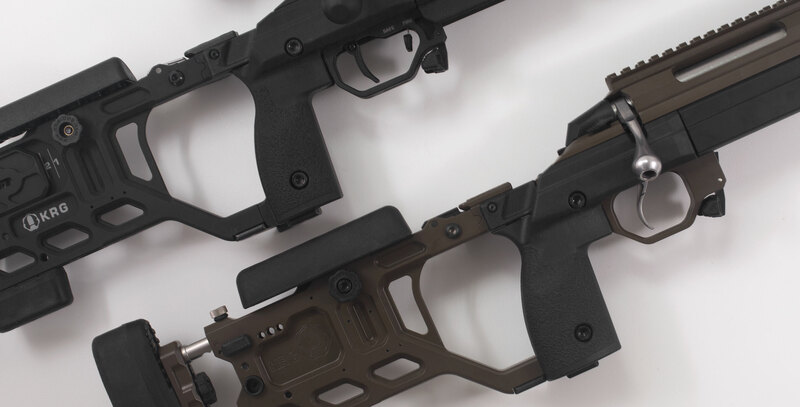 These bolt directly onto the gen 3-4 Whiskey-3 Chassis and X-ray chassis and can be fitted to the gen 2 Whiskey-3 chassis after replacing two of the metal components, the grip frame and the lower spar that connects to the buttstock. Please contact us for pricing on those parts. Set includes both right and left grip panels. 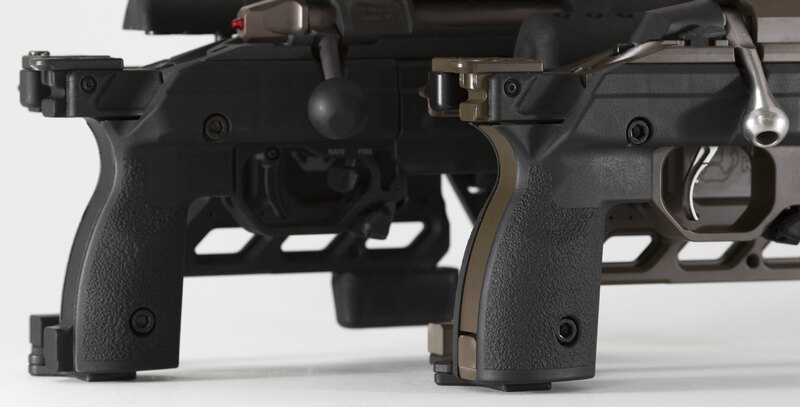 Restrictions: For those with gen 2 Whiskey-3, small grips require replacing some aluminum components.